Over 2 dozen people examined the impact over the last 10 years of the New Rural Economy project – NRE. Ten presentations analyzed and discussed fundamentals of governance, wealth creation, capacity building, and service delivery in rural communities. Dr. Bill Reimer, the co-designer, motivator, and leader of the decade long NRE project wrapped up by underscoring the importance of ongoing research with the 32 rural communities – a national rural lab. Dr. Bill Ashton from the Rural Development Institute along with Dr. Ray Bollman were pleased to host this NRE symposium, with the assistance of Lori Gould, a former NRE researcher. 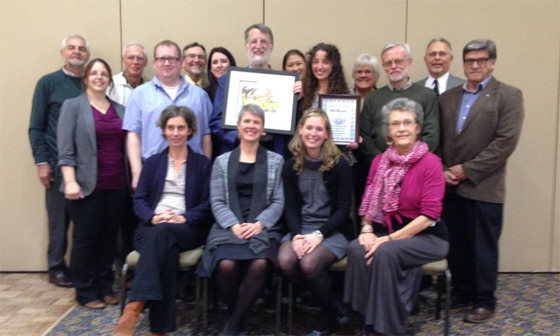 This group also celebrated a festschrift for Dr. Bill Reimer, who recently retired from Concordia University. Renewing Innovating non-Profit Service Provision: Structural Barriers and Responses. Building Capacity: The Role of Rural Traditional Media and the New Rural Economy. Supportive Communities: how those in rural and Non-rural areas deal with change.